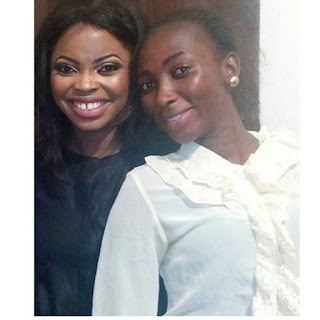 Juliana Olayode popularly called Toyo Baby for the role she played in Jenifa's Diary is bereaved. The sexual purity activist announced the passing of her older sister who died yesterday, March 27th, 2018. “I saw you breathe your last, yesterday. I didn’t let the doctor remove the oxygen tube from your nose. “She is not dead”, I exclaimed. I prayed alone with you for five hours. I declared. I prophesied. I prayed in tongues. I prayed in understanding. I praised. I prayed on you. I prayed over you. I did all that came to mind. I refused to call anyone to let them know you’ve passed away because to me, you only slept. By past 5am, you were cold but I still continued to pray. I called your name over and again and very unlike you, you didn’t respond… Your house is like a Day Care center. 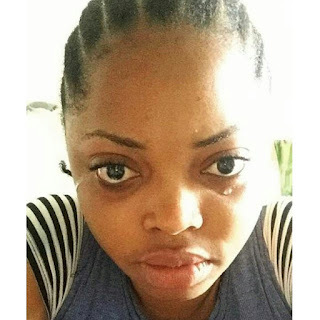 Toyo Baby has, however, received many condolences from colleagues, friends and followers since she broke the news.